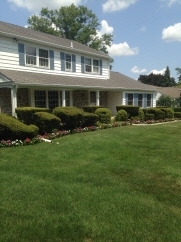 Easttown Township Colonial with Pool! SOLD by Michele Loose.... Are you looking for that perfect "forever home" – in the right location, with "great bones", and room to grow into for years to come? Look no further than 1135 Waterloo Road! Located in sought-after Easttown Township (award-winning Beaumont Elementary and Tredyffrin-Easttown schools), this classic colonial has great curb appeal and is set handsomely on one of the prettiest lots in the area - 1.1 FLAT ACRES! With a gorgeous (heated) pool and a large, grassy yard, you'll have plenty of space to enjoy barbecues and pool parties, or simply just relax and unwind! Warm and welcoming with large sunny windows overlooking the picturesque lot, pride of ownership is evident throughout this meticulously maintained home. Additional Features and Amenities Just listed by Michele Loose! Contact Michele for more details or to schedule a showing!